Do you need cash for your vehicle pink slip? Are you wasting time online looking for a lender that offers online car title loans? Are you dealing with companies that have outlandish qualification requirements with lengthy approval processes? Stop sorting through dozens of sites trying to find the best car title lender. We all know that finding the right lender can be tough. 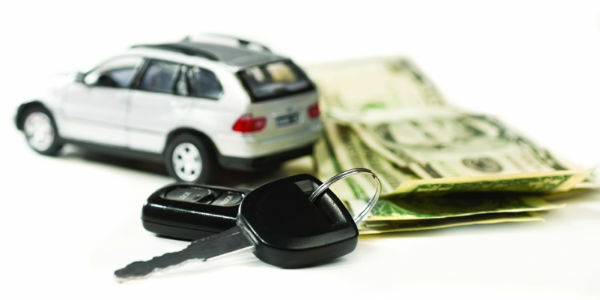 At CarTitleLoansToday we try to make the process of finding an equity lender as easy as possible. By spending a few minutes on our site you'll be able to learn more about the process of finding a lender and getting approved for an online loan. Most importantly, you'll be able to choose a lender from our database of companies that offer online funding. We're not a direct lender and we're not a loan matching service. We're not here to take your information and sell it to the highest bidder. There are many matching services online but most of the time they make it harder for you to find a loan. With our site and comparison tools, we try to make the process easier for you. Many applicants get hung up on the high fees and interest rates that are charged by many of the largest companies, and rightfully so. With our site, you can easily compare the different rates, conditions and fees for most of the vehicle equity lenders in your state. Our goal is to help you to find a lender so you can ultimately gain approval for a online title loan. All the while saving time that would otherwise be spent looking for a loan online. Many consumers make the mistake of thinking that most companies who offer equity financing are the same. When they need a loan they do an online search and the search engine will spit out dozens of companies that claim to offer online car equity loans. The problem here is that you don't know if these companies are direct lenders or if they're just marketing sites that want your personal data. You have no clue if some of these companies only provide installment or payday loans. Also, you don't know if they're licensed to offer pink slip loans in your state. They may not even be licensed at all! We try to list as many lenders as possible while also giving you information on what each lender offers, such as interest rates, loan terms and fees. We also provide relevant feedback and comments from our visitors that have dealt with specific companies listed in our comparison. We also break down the states where each state provides online title loans. This is important, as most companies are only licensed to fund online loans in a few specific states. Trust us, it's a much easier process than doing a search online!